When the two dozen breast cancer survivors huddled for a group photo early Saturday, the season’s first snow flurry and the freezing Hellgate wind did little to dampen their spirits. Clad in parkas and pink accessories, they laughed and giggled, shared stories and smiled for the camera – proud members of a sisterhood bent on beating cancer. For the first time, Missoula played host to the Susan G. Komen Race for the Cure, the world’s largest fundraising event for breast cancer. The event started with a single race in 1982 and has since grown to 140 races with 850,000 participants. 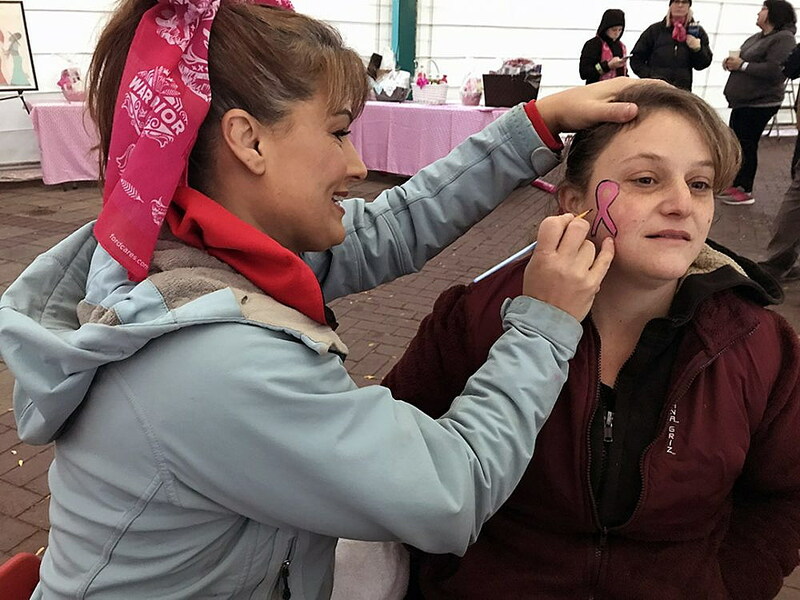 While several hundred supporters donned race t-shirts early Saturday, along with hats and gloves, it was the women in pink who emerged as the greatest inspiration. Baldwin and Vicki Olson share similar stories, and each were on their own path to recovery. Olson was diagnosed with breast cancer in December, and while she’s undergoing maintenance treatment, she’s been cancer free for three months. More than 266,000 women are diagnosed with invasive breast cancer each year in the U.S., and nearly 41,000 die from the disease. Breast cancer doesn’t discriminate by gender, with 480 men dying of the disease each year. Given the statistics, it’s not hard to find someone touched by the disease. Rebecca Mapston, reigning Mrs. Montana America, agreed.